Our cattery is all about this extraordinary breed. Russian Blue Cat is unique, it is a cat for those who appreciate the exceptional beauty and grace of these lovely creatures. 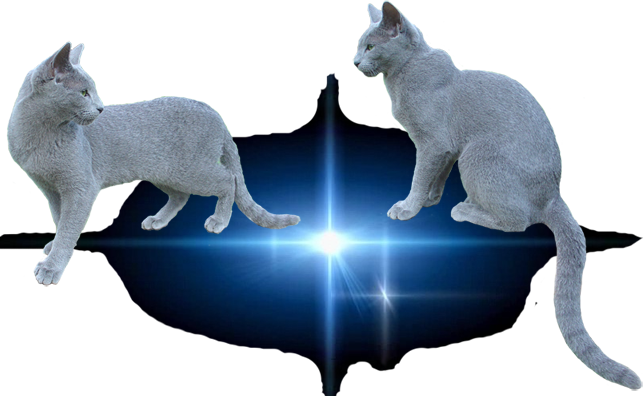 This cat is highly intelligent,independent, emotionally stable and trainable.Russian Blue Cat is not just shorthaired cat easy to take care of, it is a real silver hair, emerald eye belle. This is the ideal type of appearance we have been working on. Our kittens are raised in a family, always with someone around, so they are very affectionate and friendly. All our kittens have excellent physical condition and good temper, they become real champions of their breed and win various show prizes and titles - from "Best" nominee to "Best of Best" title in "Best in Show".Choosing a Russian Blue Cat you don`t get just a cat but a true friend and a family member.